An IT Professional, a love for typing, formatting and proofreading with 100% accuracy, can type your printed documents quickly and accurately, giving you a digital copy in an editable Word format. I can provide a basic copy typing, formatting and proofreading of 2000 words of your essay, book, article, blog post etc! 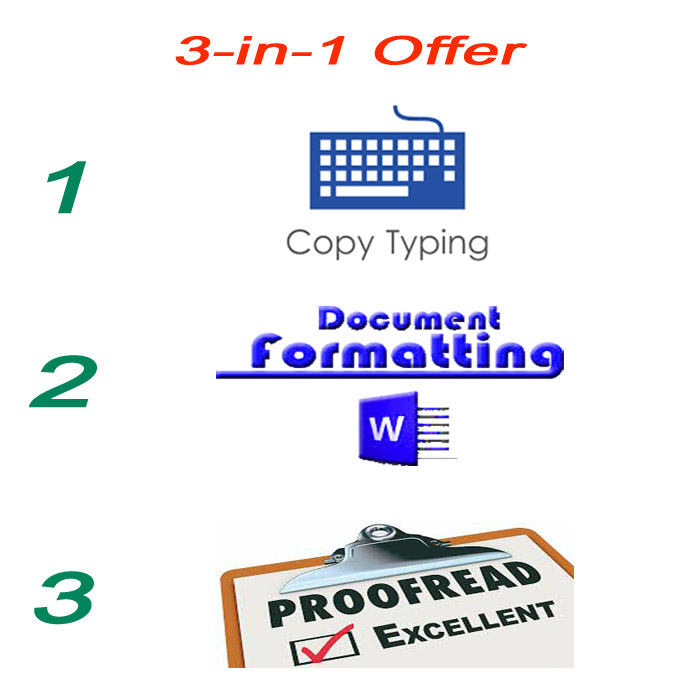 Proofreading include word-to- word checking of document to obtain 100% accuracy. I will endeavor to keep fonts, formatting, and overall layout where appropriate if required. Or you can suggest the font, spacing, alignment and style of document. If you have any questions at all, please do feel free to message me anytime. If your text is more than 2000 words content, kindly use the add-on services below. For bulk or longer orders, please contact me as a proposal is likely to be more appropriate. To just format, edit or proofread document (if copy typing not included), check my other hourlies or contact me to get the best. I need the clear instructions about the job and file/other material you want to be typed. •	Scanned documents / photo images of documents must be clear and not blurry. Kindly mention some specific formatting instructions about font size, font type, headings, alignment etc. (if necessary). Please let me know your deadline for the work, and please also make sure that you've purchased the correct hourlie! Please contact me to check whether the task can be completed within the time specified in the Hourlie before you decide to purchase the Hourlie. With 15+ years’ experience in IT industry, I am a full time freelancer specialising in all kind of data and image related services. 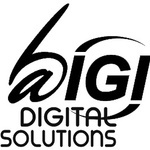 Aim to provide fast, reliable, accurate and cost...Read moreWith 15+ years’ experience in IT industry, I am a full time freelancer specialising in all kind of data and image related services. Aim to provide fast, reliable, accurate and cost effective services. I have excellent PC skills, love to hard work and able to meet tight deadlines. I am looking for positive, valuable and long lasting terms with my precious clients. -	Data conversion - Image to text conversion - Document to PDF conversion - File conversion into other format etc.